Water is a very common raw material in cosmetics. It is used in development of product, its testing and its analysis, for making up of product, in the form of steam and sterilizing instruments. 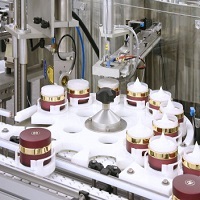 Cosmetics are very critical products that can be dangerous for the user if not produced in a systematic process. The ingredients in cosmetics are many, but the quality used needs to be checked and rechecked. Especially, water that is used for such products need to be clean and adulterant free. Use of water adulterated with oil, acid etc can cause harm to the end users of cosmetic products.